Whether you are a believer or not, Sasquatch or Bigfoot, has long haunted our imaginations. As part of the Museum’s summer exhibition, Sasquatch Revealed, we invite you to submit a piece of Sasquatch-themed flash-fiction and a related illustration to our creative writing competition. Flash fiction is a self-contained story consisting of a beginning, middle and end in 1,000 words or less (or follow the suggested word counts for each age group). Illustrations must reference your short story. Respond to any of the creative writing prompts, or create your own. 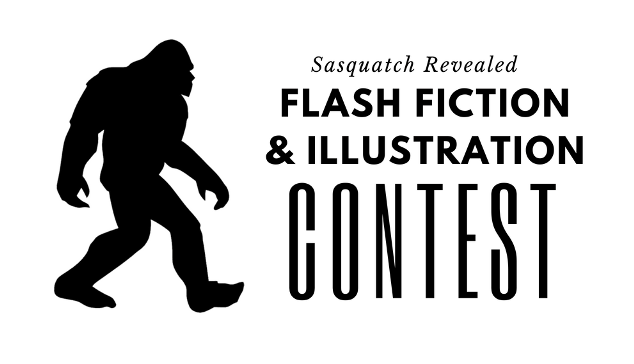 Enter to be eligible to win several cash prizes and select titles from Sasquatch Books, or their children’s press, Little Bigfoot. Entries will be featured in the Civic Center Avenue from July 23-28. Winners will be announced at the Saturday afternoon speakers program on July 28 at 3:00 p.m. “The Search for ‘Hidden’ Animals: The Science of Cryptozoology” featuring author David George Gordon (The Sasquatch Seeker’s Field Manual and 19 other titles). Entries are due by 5:00 PM on Saturday, July 14th.